You will surely love the airport limo service Fort Myers service that we offer in and around town. When you are here for a holiday you will surely love to party on the go. Our luxury airport limo coaches are designed to accommodate small and large groups and help people enjoy with special amenities on board. We also offer our party bus Fort Myers airport service that enables one to choose from a wide range of luxury limos. We can be the perfect ride about town for special occasions, for weddings, dates, bachelor parties and others. It is not hard to locate our airport party bus rental Fort Myers service as it is easily located in the regional directories. You will find our private sedans and party buses have varying seating capacity like motor coaches, shuttle buses, charter buses, passenger party buses and others like limo party bus rentals. These can accommodate people from 14 to 50. We also offer a wide range of luxury limos and other premier vehicles under our limo service Fort Myers. That includes different premier models like the Cadillac Escalade, Ford Excursion, BMW, Lexus, Chrysler 300, Hummer limos and other cars like Mercedes Benz. Wedding transportation – Get your dream car for your wedding day from our range of premier rentals. These also include party bus packages that would be the perfect solution to get your guests to and from the wedding venue. Prom & homecoming dances – For youngsters, who go to and from proms and homecoming dance events you can opt for our premier vehicles like limos for hire. Birthdays – It is easy to celebrate your birthday in a special way if you hire out our party buses. These come with special amenities which can help you celebrate kids’ birthdays as well on board our vehicles. Bachelor & bachelorette parties – Get a ride about town with your friends and celebrate your bachelor party in style with our limo coaches for hire. 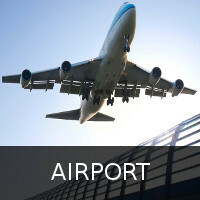 We offer affordable prices for airport transportation as well as for other requirements. There are special packages to book or discount offers as well. The prices are charged as per the number of passengers traveling, amenities offered on board, and hours of hire as well as distance to be covered. Lakes Regional Park; this is a freshwater lake where you will love to fish. Imaginarium Hands On Museum; it is a museum that has interactive exhibits as well as an aquarium. Murphy Burroughs House; it is a popular landmark to visit in the area. These places and others can be visited by renting a party bus from us.